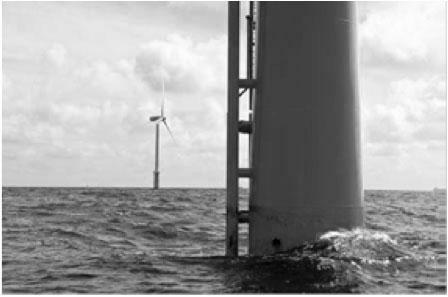 The main objective of SWIRL project (Modular oceanic platform and multifunctional advanced systems for offshore operations -ITC-20151239) is the design, development and validation of a platform integrating different technologies to deal with the offshore market needs, allowing a great flexibility when competing for contracts in the offshore installation, maintenance and operation market. The intention it to take advantage of the existing knowledge of industries such as shipbuilding, onshore wind and auxiliary industries in order to reactivate to a large extent its activity, involving the creation of new products, processes and services of strategic interest for the sectors involved. At the same time, the intention is to allow to promote a new model of economic growth based on renewable energy sources and energy efficiency, as well as to contribute to the supply of energy with renewable sources, following the Spanish and European priorities (H2020) and compensating the commercial balance. The consortium of this project gathers the following companies that possess a high technical and technological capacity to deal with the tasks with all the guarantees: GHENOVA, INDUSTRIAS FERRI, VICUSdt, BALIÑO and KALEIDO. This project has been supported by CDTI (Spanish Centre for the Development of Industrial Technology), the Ministry of Economy and Competitiveness and the European Regional Development Fund, within the Technological Fund Operational Programme 2014-2020.